Chris Emdin: Why Do Black Men Quit Teaching? Teachers hear the phrase “tough love” all the time; it is used to justify hurtful practices such as not giving black students the second chances that others receive to complete assignments, suspending students for breaking minor rules that others are not punished for, or yelling at students for being playful or asking too many questions. Many black male teachers at first believe in the need for “tough love.” When they realize it is code for doing damage to black students, they are filled with remorse and often leave the field of teaching. About a year ago, a teacher named Joseph Mathews came rushing into my office saying: “I can’t look those black boys in the face and make them feel like I felt in school anymore. I have to quit.” This is a pervasive yet under-researched phenomenon that seriously affects teacher retention. To his credit, Mr. King has recognized what he calls “the invisible tax” on minority educators. This tax is paid in the extra disciplinary and relationship-building work that black teachers do beyond teaching. Unfortunately, acknowledging the tax does little to alleviate it or its consequences. 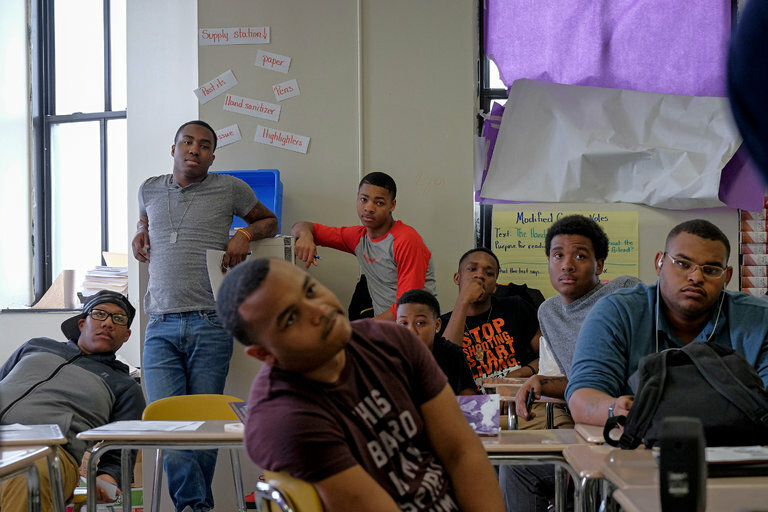 Instead of fixating on black male teachers, we need to examine how teachers are trained, their beliefs about young minority men, and how they engage their students. They should be prepared to teach to each student’s unique needs, and to recognize that no student learns best under conditions that make him feel uncared for. If the notion that we must hire black male teachers in order to have positive role models for black youth makes sense, how can we not recognize that untrained and unprepared black male teachers can cause more harm than good? I vividly remember, as a boy, having a black male teacher who didn’t see any value in me as a person, and who didn’t seem to enjoy teaching black and brown boys. Our school was diverse, with students from many ethnic and racial backgrounds, and this teacher clearly treated black male students differently, raising his voice and enforcing rules more strictly. He was allowed to teach the way he did because he was dealing with black male students who were perceived to need “tough love.” But I felt targeted by the very teacher who (because he was black) was supposed to be the person I connected to. This cycle of dysfunction is repeated in schools across the country when black men, unprepared and burdened with expectations that inhibit them from being effective, are placed in front of students and told to teach. A better solution is to train all teachers, black and white, to acknowledge the biases they hold about their students based on their race, class, gender, sexual orientation and physical ability. Then they can learn strategies for being effective with these students despite their differences. The new crop of black male teachers being herded into schools this fall as saviors of the same black children that schools have failed need to be told that teachers are not heroes; they do not need to save children, they just need to educate them. This is not a call for more white teachers or a statement about some inherent inability of black male teachers. It is a call for a more thoughtful approach to teacher recruitment and retention, and a renewed focus on teacher preparation. Have we not seen the effects of programs that recruit mostly white, middle-class college graduates to “tough schools” only to see high teacher turnover, ineffective teaching and increasing achievement gaps? Why are we embracing a black male version of the same broken model, instead of working to fix the problem?